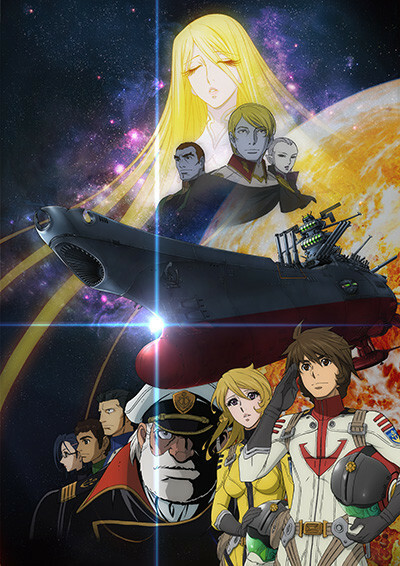 Synopsis: The basic story of Yamato 2199 is the same as the first Yamato anime set in 2199, but Yutaka Izubuchi, who worked on mechanical designs and science-fiction concepts on some of the earlier projects in the franchise, is serving as chief director. 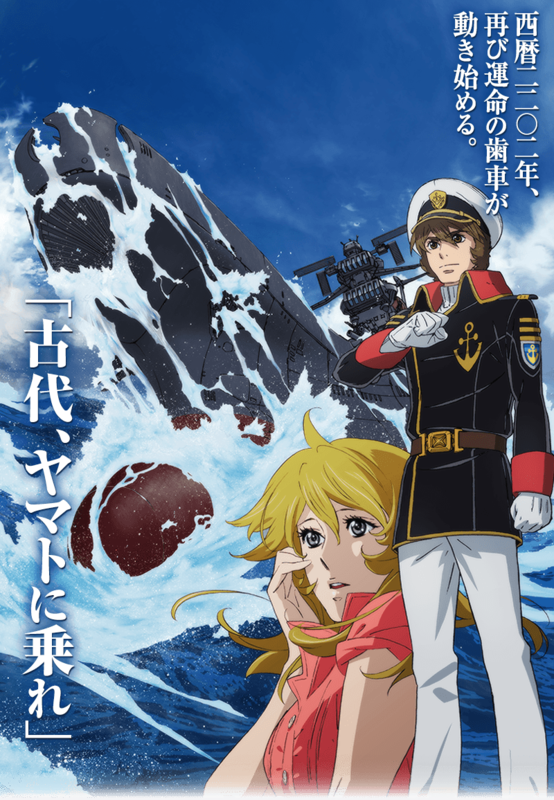 The new series is a remake of the original Space Battleship Yamato TV series from 1974, with some changes in the main story, new characters (including several female ones), a more modern tech design, and an animation style inspired by that of the original series. The year is 2199. The human race has been crushed in their war with the Garmillans, driven into underground cities by the invader's assault. Scientists estimate they have only a year left. 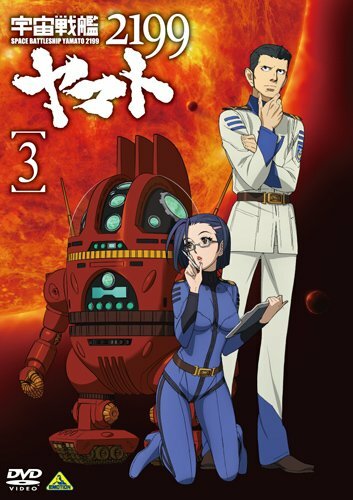 The young officers Susumu Kodai and Daisuke Shima receive a mysterious capsule from a ship that made an emergency landing on Mars and return with it to Earth. It contains humanity's last hope: the planet Iscandar on the other side of the Magellan Galaxy has the technology to defeat the Garmillans and restore the planet. The space battleship Yamato is entrusted with this task, but they have only one year before humanity ends. LOVE IT LOVE IT LOOOOVE IT! The storyline is a slight departure in some respects, and a whole new tale in others. New characters, relationship dynamics, jealousy, hotties other than Nova, people manuevering/vying for power, and the Doctor looks less like a troll in this version. What's not to like? For me, it's almost like the writers for the original "Dallas" or "Falcon's Crest" were brought on to add more depth and spice to the story. WRITER1: "Oh, and let's make the captain have a twin brother who's evil, and shoots him, but when the story arc is over, Nova wakes up to hear Captain Okita in the shower, and then Okita asks Nova if she had a bad dream because she was mumbling in her sleep..." WRITER2: "Yeah, that's got legs! And we'll add-in that the engineer has a daughter that has a serious fatal-attraction obsession with Kodai, but Kodai is too busy being torn between his growing feelings for Nova, and his repressed lust for his old academy roomate who turned into an unexpected fling after a game of SPIN THE BOTTLE went horribly wrong during a night of he and Kodai doing some seriously-heavy drinking..."
... Oh dear... It seems that my insanity MAY have gotten just a teensy-weensy bit worse..
Where are you guys watching this? I've been looking for it but can't seem to find it? Are they all blu-ray rips, because I thought this would be currently airing? 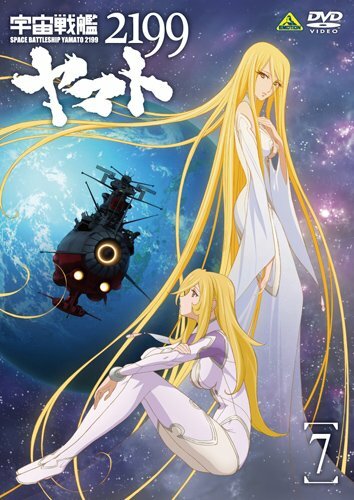 Synopsis: Susumu brings the Wave Motion Activation Core to Earth which allows mankind to complete its first interstellar spaceship, the "BBY-01 Yamato". 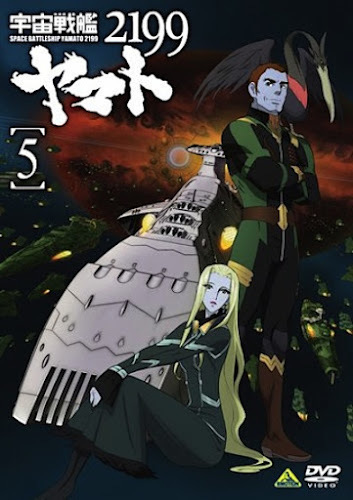 With Okita as the captain, Shima as the navigator, and Susumu as its battle chief, the Yamato is assigned to travel to planet Iscandar, in the Great Magellanic Cloud, with orders to retrieve a device able to restore Earth's environment. 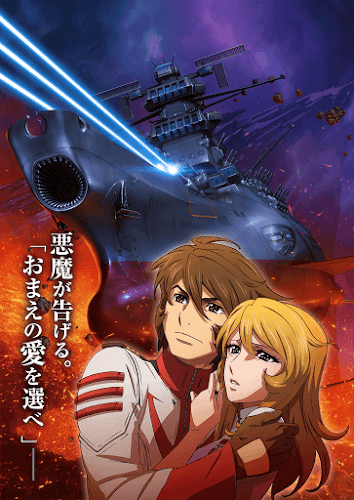 Before the Yamato can start its journey, it must counter a Garmillan interplanetary ballistic missle aimed at them. 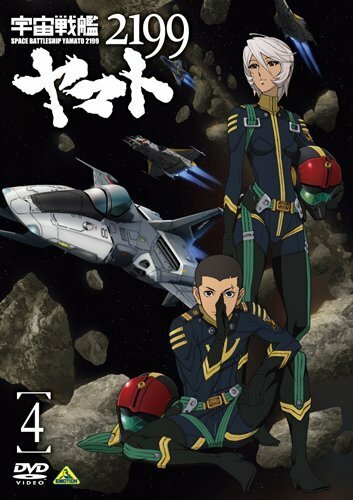 Synopsis: Melda Dietz, a Garmillan pilot under the custody of Yamato, claims that their attack on Earth was not unprovoked, and that it was the Earthlings who first fired without warning during the first contact between both races years before. 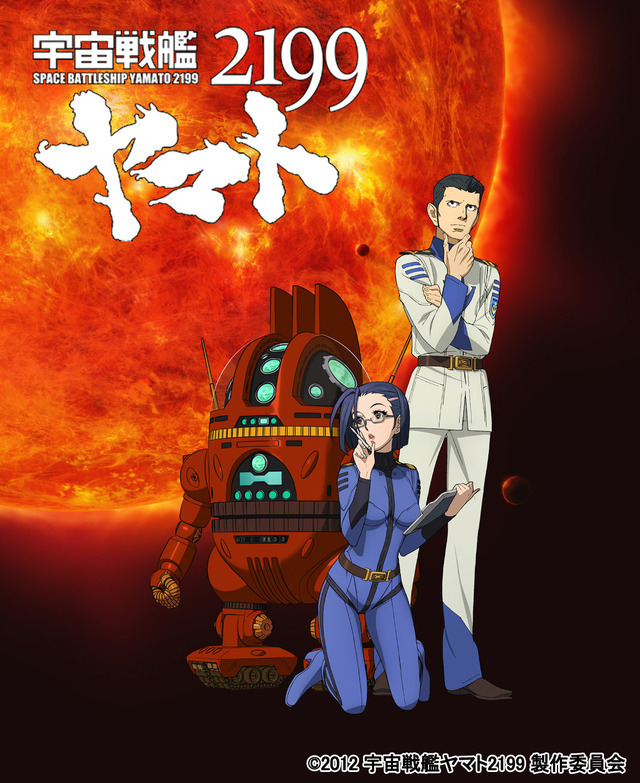 Daisuke, whose father was killed in the attack, does not believe her at all until Yamazaki, the sole survivor of his father's ship, reveals to him the truth about what really happened that day. Is there NOTHING this actress can't do? What a range she has! And there are a TON of other roles in other iconic shows like Azumanga Daioh & Fruits Basket, but the roles above really demonstrate the diverse characters that she seemingly effortlessly brings to life. There is nothing "one dimensional" about the performances she brings to each character. Often, I have a hard time believing that a role was done by her because she so totally transforms her voice, mannerisms, and energy for each role. So now we add "Cloak and dagger Librarian seductress with a vulnerable side" to her list of personas. Oh and is it alright for me to admit that I felt a bit of a tinge when the scene cut to Dommel's wife after the last battle? Powerful stuff, brilliantly scripted, and deftly performed. I really felt the drama of the piece, and not just because of some formulatic swelling of music, or a teary-eyed cast tugging at your heart strings.. This is grade-A writing. I so wish that there wasn't a prejudice against animated media which makes it difficult for many to appreciate the power of a performance as easily as if the actors had been "real" instead of animated... This NEEDS Mainstream Academy Award-level recognition in my opinion! For me, nothing else in Anime has even come close to touching this in decades. And I admit that I bawled my eyes out during the last episodes of Angel Beats! and end of the Makoto section of Clannad! Well done XEBEC, AIC and Enagio. Well-done indeed! Edited by Knorris908, 02 August 2013 - 03:04 AM. 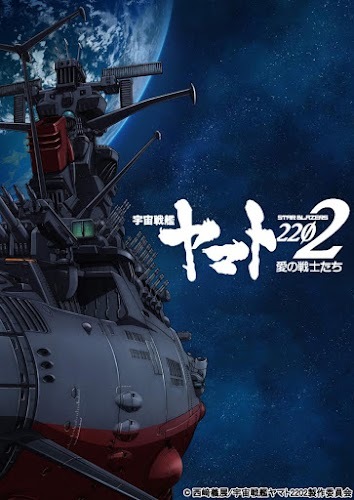 Synopsis: As the Yamato penetrates the Large Magellanic Cloud, Domel, his name now cleared, engages in a battle of wits with Okita as he prepares a special attack force to stop the Earth vessel once and for all. 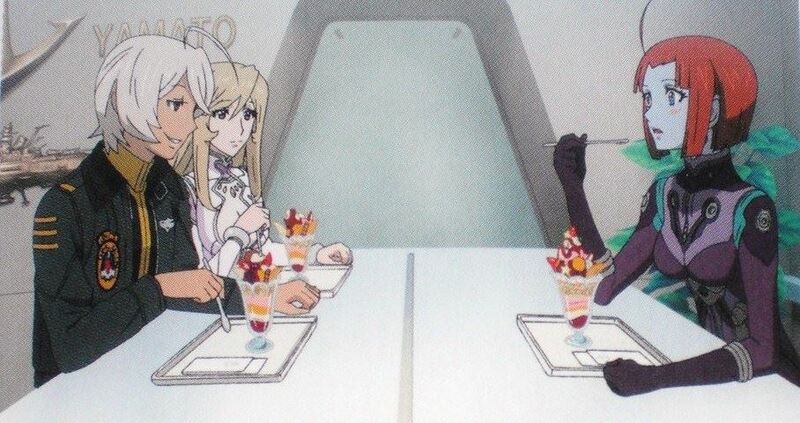 Writer3 "Later her jealous friends ask if she loves him while eating parfait"
It was 3:30pm on a Thursday afternoon mid-1980 that I finally learned the fate of the Earth and the Yamato crew. It was 9:30pm Nov. 5th 2013 when I relived that moment with an eerily-crystal clarity. Now I ask you, what better testament to GREAT writing can a viewer or reader ever offer? Well my friends, it's been a wild ride. Over and out! 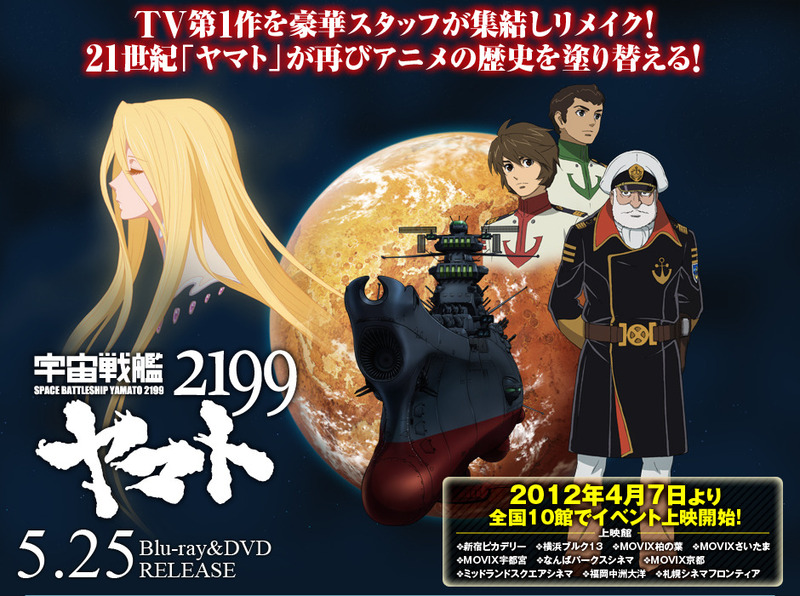 USY 2199 brand new theatrical edition (宇宙戦艦ヤマ­ト2199 劇場版) 8th film 2014? - ?? Only just started watching this series a few days ago after having never watched anything related to the series before, and am definitely loving it. I'm always getting a Battlestar Galactica feel from it, which is a good thing as I love that series. My only problem right now is I'm constantly taking myself out of the show for scientific reasons cause I recently saw a few episodes of the series Universe on history channel talking about a bunch of different topics on space exploration and the galaxies. This means, while there are certainly things you have to just accept like FTL drives for the sake of the story, some things just bother me like all the crew members being able to have real-time conversations with people back on earth when they are past Pluto, when the communication signals would take anywhere from 4-5.5 hours to actually reach earth, depending on it's current location in orbit. Though I know this is 95% a problem with me and not the show. Only just started watching this series a few days ago after having never watched anything related to the series before, and am definitely loving it. I'm always getting a Battlestar Galactica feel from it, which is a good thing as I love that series. I've been recommended this show quite a few times but never really tried watching it because I was aware that this was a reboot/remake of the original series from 1974. 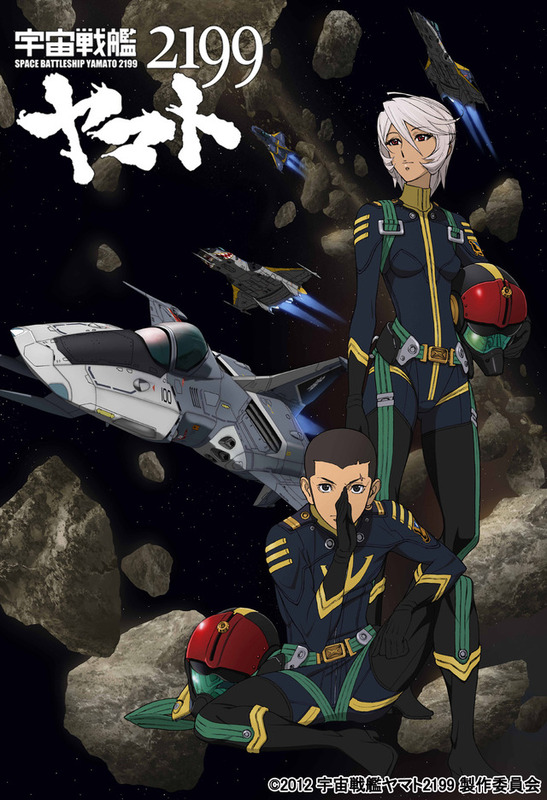 Barbo convinced me that it was a good watch and I have to concur it was pretty decent series, I was kinda expecting a lot more but I'm glad it sort of kept to it roots in tone, with each episode sort of being episodic. 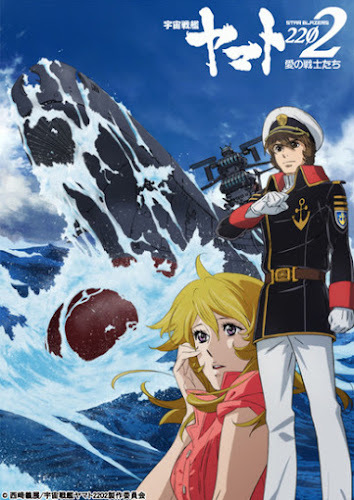 I've watched the original Mobile Suit Gundam, it's a great show and I can see how it was inspired by the original Space Battleship Yamato, the original Gundam is very episodic. 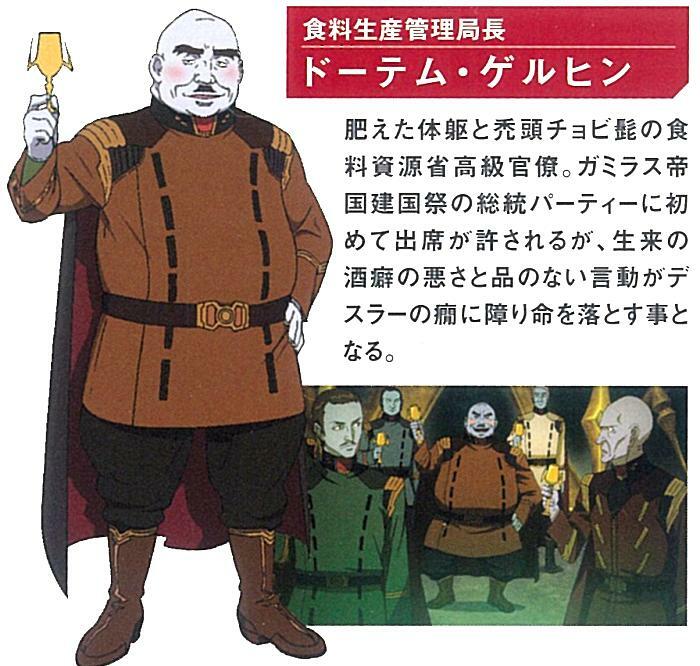 I am aware that there are a multitude of differences between the original and 2199 such as new characters (as well as getting rid of characters too), changing character personalities (like Gomel, he's a more noble and brave soldier in 2199), events being changed, character jobs, etc. 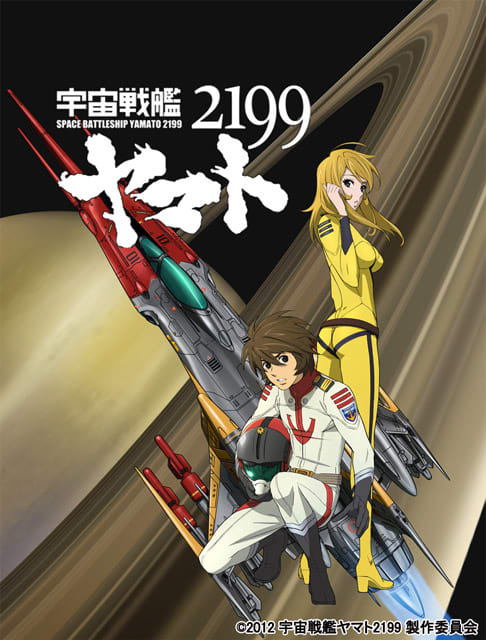 Basically there's quite a lot of differences but 2199 is pretty darn solid and I do like the changes with more female crew being on board the Yamato such as Akira, Kaoru (I'm pretty sure she's not in the original), Makoto (the married nurse), etc. I like the ending with Mamoru reviving Yuki in the end and with Okita becoming the new Cosmos Reverse Output thingy. 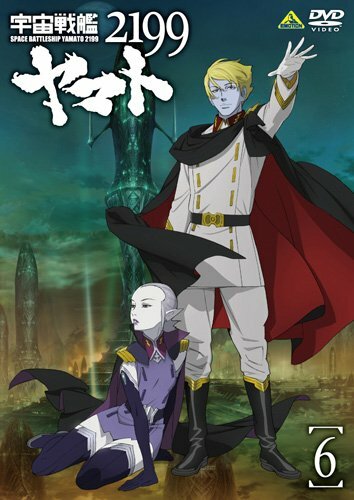 To be honest, I like the fact that Yuki and Kodai are a pair but I honestly didn't see enough interaction for them to actually become in love with each other but that's to be expected from a space opera that had to deal with the constant Gamilas threats. Lol it was funny to see Yabu join that crew and they don't know yet that it was actually a human who use to be a proper crew-mate on the Yamato. 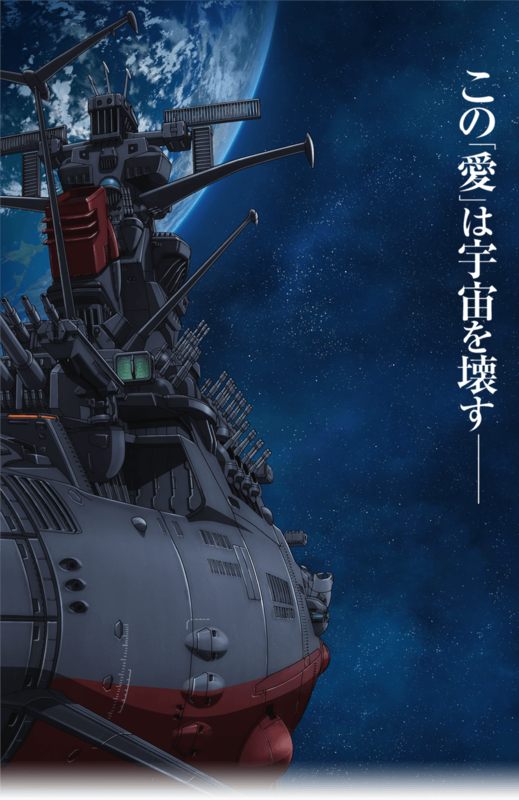 I wonder what Melda is going to do now, I sorta want her to become a part of the crew on the Yamato in the future. Kaoru is pretty damn cute, I mean she wants to protect humanity and that's why her feeling were so strong that she went along with the coup d'éta. My score for this series is a 9/10. 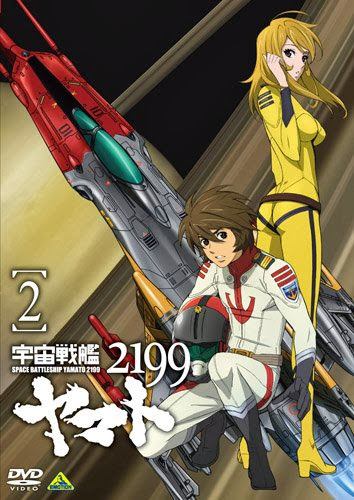 I've downloaded the original 1974 Yamato series (the Japanese version) and I'll be downloading season 2 as well at some point and then the 3rd series after that. 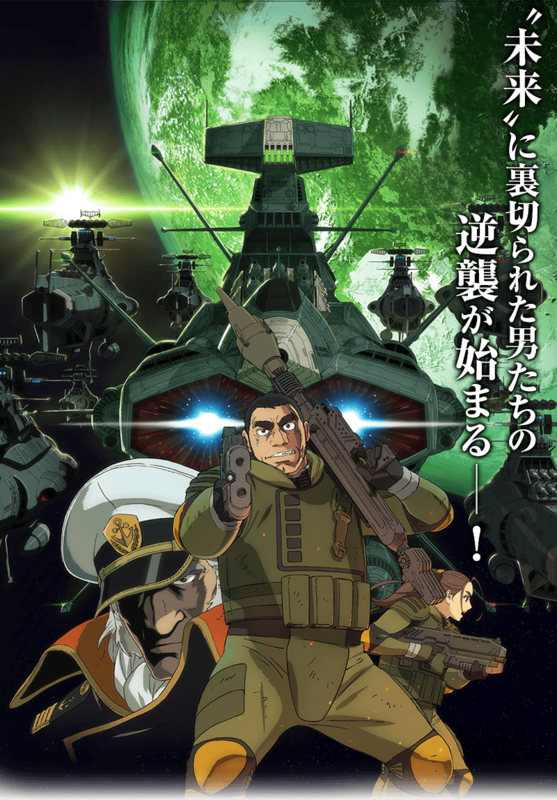 I'll probably watch them at a later time though, I think I'm going to have to spread this Yamato marathon into a freaking voyage, it can be quite hard to watch an anime made over 40 years ago in one go. Synopsis: A new super weapon has emerged and Gamilas ships vanish from the seas. In the meantime, the Yamato has left the Large Magellanic Cloud and is on its way back to the Milky Way Galaxy. During the voyage, the crew is hit by a gatlantean warrior fleet under command of Goran Dagam, who claims the "Yamatee" as his prey. 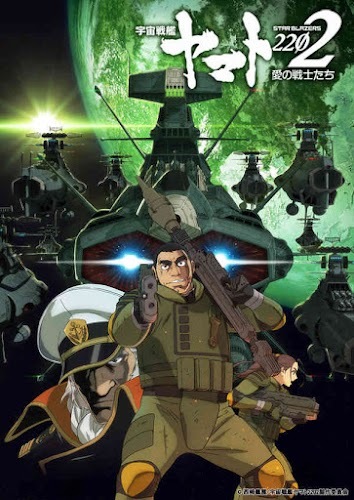 After Susumu Kodai in command refuses to give up the ship, the Yamato makes a run and accidentally ends up inside a strange world that defies logic and the law of physics. An expedition team is sent to the surface and makes a truly mind-boggling experience that they cannot escape. Next to that the team doesn't seem to be alone after they encounter their old foes. Time runs out and the Gamilas and Terrons walk a thin line in a world that's not their own, having the Gatlanteans sitting in their necks. This has been a very worthwhile wait and while I'm sad to see it's passing, I have no regrets. HERE'S TO AN EQUALLY WELL-WRITTEN SEASON 2! I will be anxiously awaiting the subs for this movie to come out though. Saw torrents for the raw so hopefully it'll show up by the end of July. Edited by Barbobot, 27 June 2015 - 04:23 AM. the ride goes on with Kodai as captain allied to Gamilas, 2 eps just subbed! 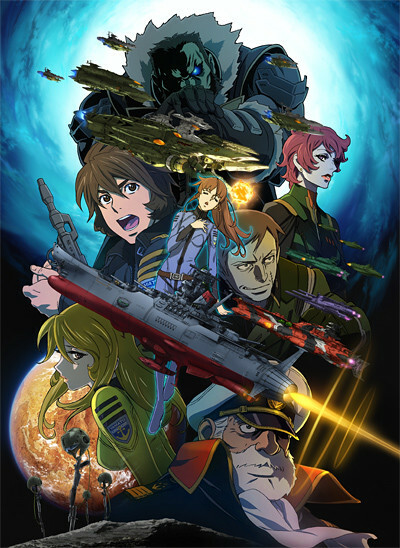 Uchuu Senkan Yamato 2202 Dai-nishō, their journey to planet Telezart begins!